Does your team have attitude? 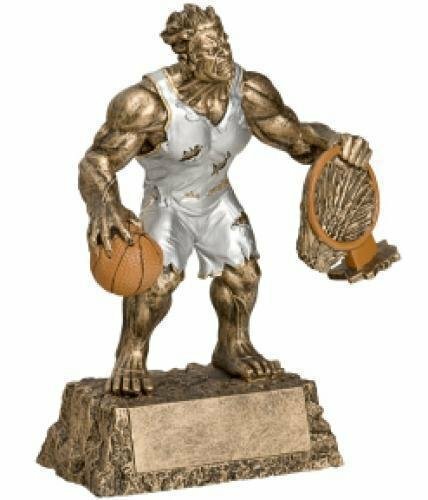 If so, this is the trophy for you. It's a monster of a resin award. A trophy fit for a champion. This classic basketball award makes a statement. Resin with a black aluminum plate with silver engraving attached to the front. Bowling bobble head award. Infectious trophy fun. 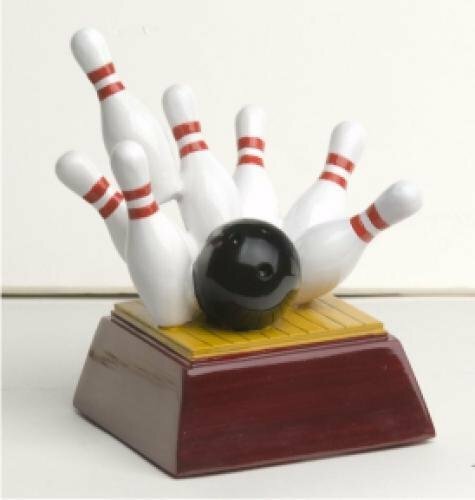 Bowl them over with a colorful resin bowling award with a glossy, rosewood-look base. Individually boxed. 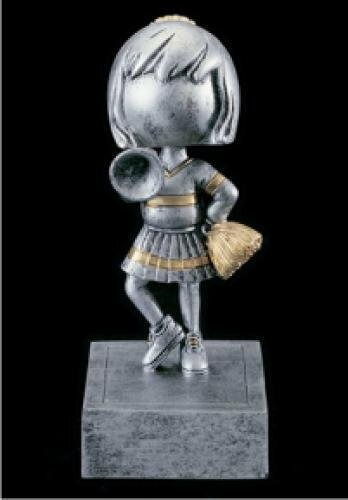 Cheerleading bobble head award. Infectious trophy fun. 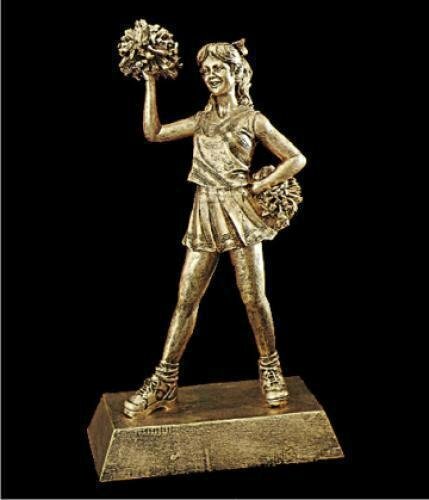 Detailed resin female cheerleader trophy. Comes with a gold plate printed with black text. 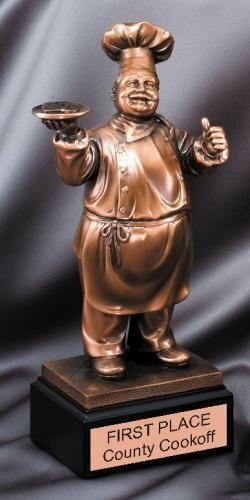 Cheery copper-colored resin chef is ready to serve up recognition for award winning chili or the best of the bake off. Your text is engraved in black on the copper-colored brass plate. Individually boxed. Now you're cookin/! 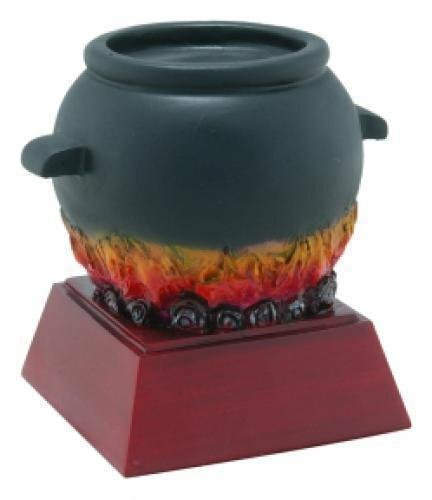 Our colorful Resin Chili Pot is one hot chili cookoff trophy. Beanless, of course. Or for a truly custom award, you can glue your own dried beans inside the top rim. 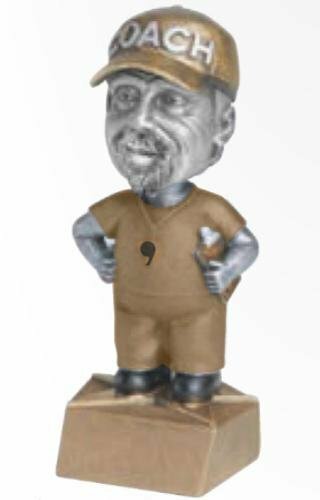 Male Coach bobble head award. Infectious trophy fun. 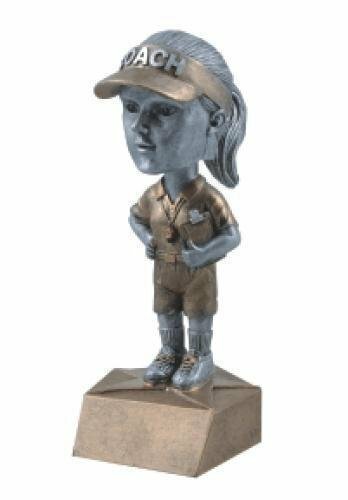 Female Coach bobble head award. Infectious trophy fun.